Is a Cheap iPhone Coming? On Tuesday, January 8thth, the Wall Street Journalreported that Apple was working on a cheap iPhone for release later this year. Immediately, the Internet was ablaze with “will they, or won’t they” speculation. Two days later, on January 10thth, Reuters cited Apple Marketing Chief, Phil Schiller, in an interview given to the Shanghai Evening News, as saying that developing cheaper smartphones was not a direction Apple was pursuing. However, by the next day, the Shanghai Evening News had changed its report, causing Reuters to publish a retraction. The amended report eliminated references to a cheaper smartphone. Of course, this just added fuel to the already well-stoked fire, started and maintained by the always-active Internet rumor mill. If you read the reworked Phil Schiller interview, it’s essentially the same message. It’s important to remember that this doesn’t mean Apple’s not building a cheaper iPhone. Steve Jobs would always say Apple wouldn’t do something, and then change his mind. In the same conference call, he was asked about producing a smaller iPad. “Given that all tablet users will already have a smartphone in their pockets, giving up precious display area to fit a tablet in our pockets is clearly the wrong tradeoff. The seven-inch tablets are tweeners, too big to compete with a smartphone and too small to compete with an iPad”. It was revealed that other executives in Apple were pushing for the development of the iPad Mini, and that Steve was open to the idea. For all intents and purposes, the iPad Mini is a smaller replica of the iPad 2. Apple was able to make the same product in a smaller form factor due to advances in LCD and battery technology. Currently, one can buy an iPhone 4 for $0, with carrier subsidy, and the iPhone 4S for $99. Using the iPad Mini/iPad 2 argument, one could consider these as the “cheaper” iPhone: the previous generation at (much) lower prices. 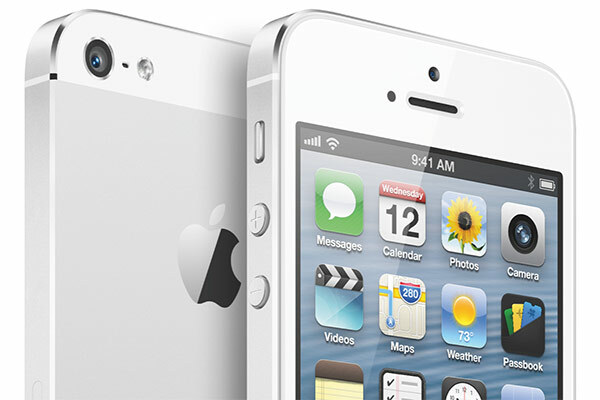 Unfortunately, it’s hard to convince buyers that getting a newly manufactured iPhone 4 or 4S is buying a “new” iPhone. As consumers, Apple has conditioned us to want the latest and greatest. So what’s my take away from all this? (Pure Speculation) The “cheaper” iPhone is not targeted for the US market, but for China and emerging markets. This is a guest post from Kevin Kim. Kevin Kimis a founder and partner of AppOrchard LLC, a premium enterprise app developer. A graduate of Carnegie Mellon University, he was first exposed to the NeXTStep computer (the ancestor of today’s iPhone) while a programmer at the Pittsburgh Supercomputing Center and has been hooked ever since. His career has spanned finance, government, biotech and technology, including Apple, where he managed the Apple Enterprise Services team for the New York metro area.